Imagine stopping by your rental property only to find broken glass, a bent screen, or graffiti. One of the most frustrating experiences landlords may encounter is discovering their vacant property has been targeted by thieves or vandals. These criminals target properties that are clearly vacant, often doing extensive damage, like tearing out the copper pipes and wiring, which can be sold for scrap metal. With prices for scrap metal hovering in the $3.00 per lb range, not to mention the value of appliances or anything else thieves can get their hands on, criminals are quite motivated to target vacancies. Some do it just for fun. Perhaps the best way to defend your property against these intrusions is to do what you can to make sure your property does not look vacant in the first place. 1. The most important thing is to closely monitor your vacant rentals. Drop by for a quick inspection on a regular basis, watching for things like broken windows, tampered locks or any other signs of attempted forced entry. 2. Don’t let your rental appear vacant — which can be enticing for criminals. 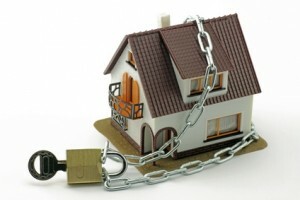 Most will shy away if they think the property is occupied. Keeping the grass mowed and some lights on at night are simple and inexpensive deterrents. 3. Keep in touch with the neighbours, letting them know you are actively trying to secure new tenants. Ask that they keep an eye out for any suspicious activity, like the sound of breaking glass or strangers lurking around. 4. If you have access to a registered vehicle that you can keep parked in the driveway, it will also go a long way toward making the property look occupied, at least to a casual observer. 5. Don’t let newspapers or advertising circulars pile up in the driveway or entry, a beacon to would-be criminals that your property is unoccupied. 6. Install motion sensors on outdoor lights so that potential thieves won’t be able to approach the property undetected at night. 7. Make sure all doors and windows are adequately secured. A simple mistake like an unlatched window can end up costing you thousands of dollars. These steps not only help to deter would-be criminals, but they also may help to keep your property in top condition, minimizing the amount of time before your next tenant moves in.